Straight from the cow into your coffee. 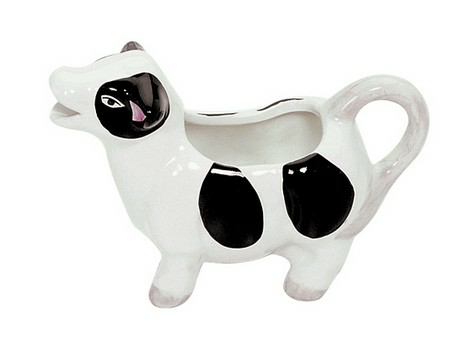 There's nothing like fresh cream coming from this stoneware cow creamer. Holds 4 fluid oz.